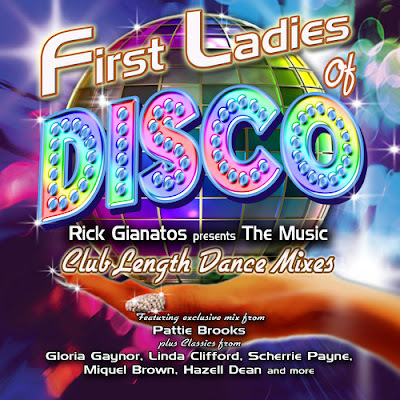 Discussions Magazine Music Blog: FIRST LADIES OF DISCO/The CD: Available NOW! FIRST LADIES OF DISCO/The CD: Available NOW! 2013 release, the perfect companion piece to the book First Ladies Of Disco by James Arena. After reading the incredible stories of Disco's original star vocalists, get ready to feel the driving beat and high energy of their music! First Ladies Of Disco album contains classic tracks by Gloria Gaynor, Linda Clifford, Scherrie Payne, Miquel Brown, Jessica Williams, Carol Douglas, and Viola Wills. Plus the exclusive new smash single "I Like The Way You Move" by Pattie Brooks.